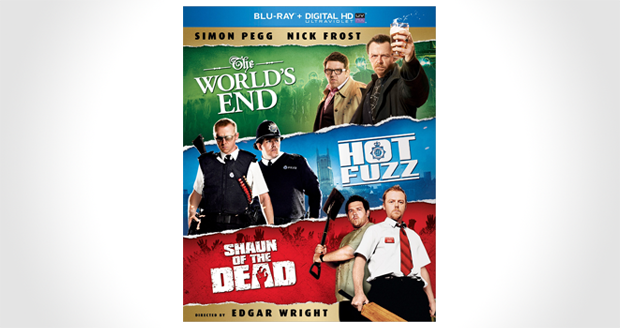 The Cornetto Trilogy is now available on Blu-ray as a box set featuring the genius films that are, Shaun of the Dead, Hot Fuzz and The World's End. The ultimate combe Simon Pegg, Nick Frost and Edgar Wright have come along way since Spaced, which if you haven't seen it you should! Apparently the Cornetto in each film is significant, strawberry for Shaun, blue for Hot Fuzz and green for THe World's End's aliens. Now that is some planning, good work Edgar!